A group of seniors in South Philly recently celebrated the 10-year anniversary of a house they’ve come to call home. 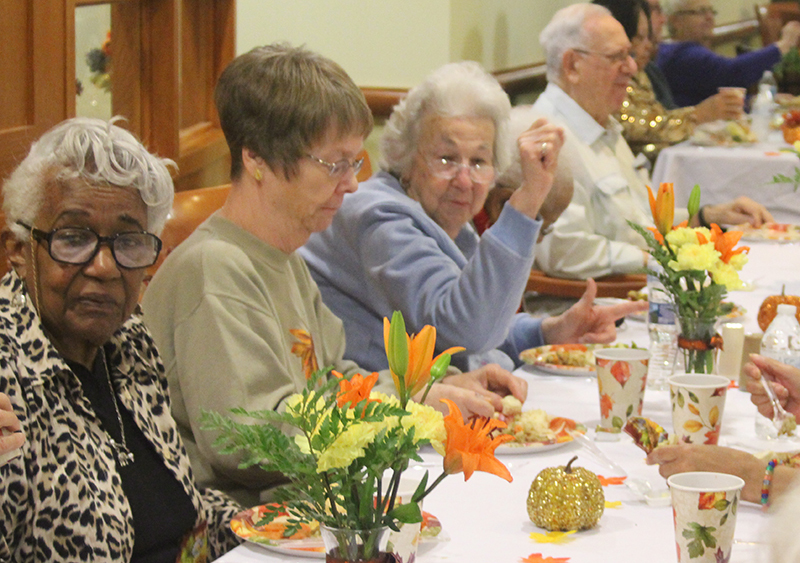 On Nov. 16, more than 60 residents of St. John Neumann Place I (SJNPI) gathered to enjoy a catered luncheon and reminisce about the first decade of their new digs. Once a Catholic high school, the building was transformed into an affordable senior living community by Catholic Housing and Community Services of the Archdiocese of Philadelphia (CHCS). Opened in 2008, the complex features 75 one-bedroom units for seniors aged 62 and older, regardless of religious preference or affiliation. While varying in size and layout, the apartments — all of which are now occupied – include complete kitchens, bathrooms with low-rise fixtures and assistance bars, and medical emergency pull cords. Phone, cable television and internet access are available for direct purchase. CHCS provides a full-time, on-site social service coordinator to support the home’s residents. Presby’s Inspired Life — an independent, faith-based organization that serves seniors – manages the property, offering a 24-hour emergency call services for building issues. But the residence’s most attractive amenity, according to those who live there, is its sense of community. Browne is one of 21 seniors who have lived in SJNPI since its inception. Many of the current clientele have been lifelong residents of the surrounding neighborhood, said John Wagner, CEO of CHCS. “I’ve had folks say that they can look out the window here and see where they raised their children, and they feel terrific to be in a safe, well-designed housing unit now,” said Wagner. 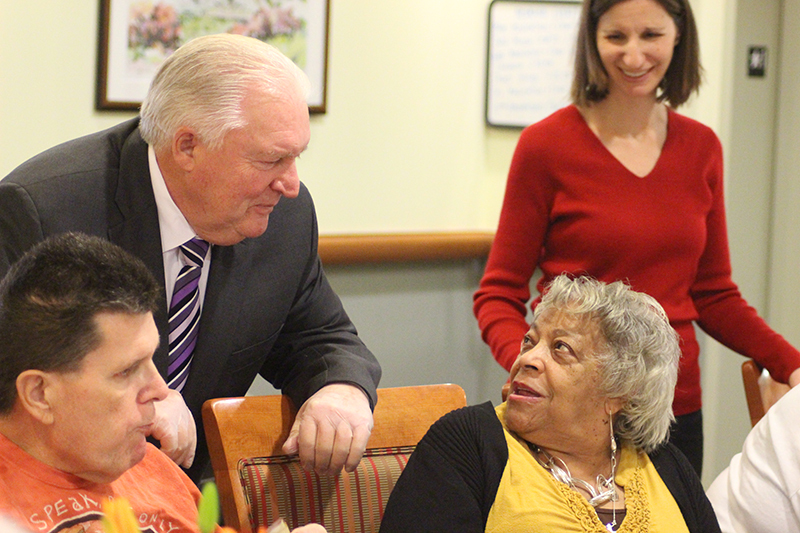 Enhancing the community – for both seniors and area residents at large – is a key component of SJNPI, which is one of five CHCS senior housing communities located throughout Philadelphia. Wagner noted that the residences repurpose existing church structures that have been underutilized, or fallen into disuse. Funded by a blend of tax credits, grants and loans from local, state and federal partners, the facilities help to increase area property values. In addition, some residences – such as St. John Neumann Place II, adjacent to SJNPI – offer additional benefits to locals, including a wellness center and social activities for seniors from the neighborhood. As dioceses struggle to manage empty parish and school buildings, CHCS’s approach has become a model for similar initiatives throughout the United States. Wagner noted that his team is now looking to expand its efforts into the Philadelphia area suburbs. Plans to convert two school buildings at St. Joseph’s Parish in Collingdale are in process; upon completion, the project is expected to yield 50 apartments for seniors. Such accommodations will help to address what has rapidly become an urgent need for senior housing in the United States. According to Harvard University’s Joint Center for Housing Studies, the “50-and-over population is projected to increase about 20 percent by 2030 to 132 million.” The center identifies affordable housing as “the linchpin of well-being” for this demographic. “We’re building community,” he said.